Goa is the beach state of India, strategically located in West Indian Konkan region. 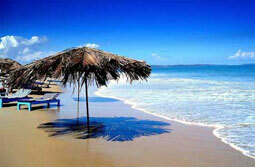 Goa is smallest region by area and ranked among the fourth smallest beach state of India. The state has best quality of life and good infrastructure. This beach state was once the province of Portuguese. Each year there are large number of domestic as well as international tourists, who visit Goa, known for its white sand beaches laden with coconut trees and blue waters. Goa is also the premier world heritage architecture site. 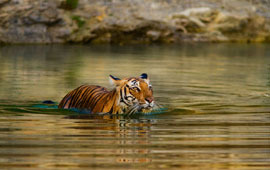 With amazing richness of flora and fauna, Goa is classified as an amazing biodiversity hotspot. The golden triangle tour of Goa will take you straight through the Konkani rubric, Portuguese churches, and it would be a mirthful moment to experience several internationally popular and delectable Goan cuisines. As soon as you land in Delhi, our representative will meet and greet you at airport and transfer you to hotel. Stay in the hotel for remaining day and relax. 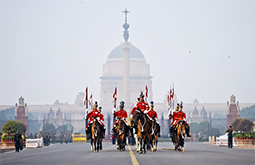 In twilight, explore the hype and bustling life in this superb capital of India. Return to your hotel. Enjoy the dinner in your serene hotel room and then retire on your bed. After relishing in the taste of enjoyable breakfast, get yourself on the move as you discover old and new worlds of Delhi. Old Delhi presents mélange of cultures, both Mughal as well as ultra-modish westernized. The narrow, dingy and meandering streets give tourists fun and adventure. 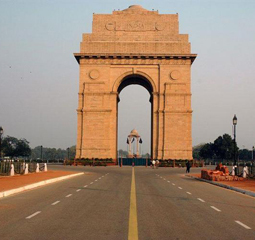 The Lutyen’s Mew Delhi is well planned, wider roads, organized parking and well-lit streets. The tourists as they pass through much green New Delhi feel the difference and awestruck contrast between holistically two different worlds. Spend a fabulous nice evening in delicious authentic Indian Dinner in one of the finest restaurants. Return to your hotel, unwind and then retire. 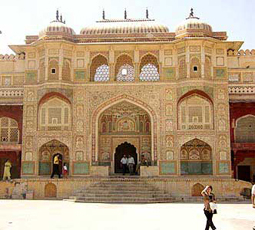 After having a superb, delicious breakfast, take road drive in luxury car to city of Agra. The erstwhile city was great center of activity during Mughal era. You will be truly fascinated by medieval Mughal architecture and enormously great palaces that reflect freshness even today. Optional Tour – If you wish, you can also plan out a trip to the fascinating place - Mohabbat The Taj, a harmonious performance that translates the great epic story underlying history of the Taj Mahal, presented in form of music, dance and drama. Return to your hotel by evening. Enjoy the dinner in your serene hotel room and then retire in a comfy bed. Enjoy a great breakfast served right on the first call in your hotel room. En route Jaipur, take a halt at mystical Mughal city of Fatehpur Sikri. This glorious fortified city happened to be capital of the Mughal Empire from 1571 until 1585. However, owing to lack of water, the city was abandoned by denizens. The city is well preserved and looks extraordinarily terrific. Return to your hotel latest by evening. Unwind yourself in the hotel room. Enjoy the dinner in the composed room of your hotel and afterwards retire on your bed. Enjoy yourself in the hotel and in a typical Rajasthani breakfast. Get set for tour of Amber Fort that will take you through the lofty and grand fortress and you experience the regality of royal Rajputana cult. Comfortably relax on elephant’s back as you start riding and after almost an hour reach 16th century Amber Fort. The fort is well preserved, with its interiors as well as exteriors in a healthy state. Later in the day, experience new form of rustic life by visiting cotton weaving house to discover the ways of fabric dyeing and block printing. Afterwards take the road drive of amazing City Palace and old astronomical observatory situated at Jantar Mantar. Enjoy a great breakfast served right in your hotel room. Jaipur - Alsisar. Take the road drive to the semi-desert area of Shekhawati. The small towns located in this area became one of the key trading posts. The eternal inheritance can be clearly showcased in form of beautiful painted havelis (mansions) constructed by wealthy merchants of the 18th and 19th centuries. In the afternoon village walk and take delight as you relax. After having a delicious breakfast, take a small tour in local school in Alsisar before making a return trip to Delhi. In the afternoons you have plenty of time free to discover the city. Delhi - Goa. 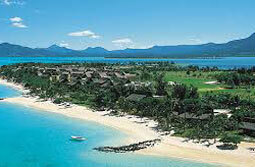 Make a formal check out from your hotel and you will be driven to the airport to catch flight to Goa. On arrival, you will be welcomed by our representative and later transferred to your favorite sea side hotel accommodation in Goa. You have good five days to enjoy your beach life in Goa. It is going to be an enjoyable experience. After relishing the typical Konkani breakfast in your hotel room, plan a visit to Mandovi River, palm-fringed beaches, pristine sun dosed waters and composed atmosphere. Rent a scooter or a bike, if you want to explore Goa and experience the best this beach state of India has to offer. However, you need to have a valid International Driver License. Also provide the passport details. Take the tour of Goa and discover Portuguese Catholic Church of Old Goa, St. Anne’s Church and the Basilica of Bom Jesus. Countryside tours to fantabulous well-appointed old estates constructed by wealthy Indians, and this includes the well-known Braganza Palace, besides other places. Halt on the local beachside restaurant and taste the local delectable cuisine. If you are very keen on learning the preparation of some of the well-known Indian cuisines, we offer tailor-made cooking sessions that provide a great learning experience. Relish yourself in the specially prepared Goan breakfast. Check out of your hotel room as you are given a warm, traditional farewell. You are transferred to the airport to catch flight to New Delhi. Our representative will greet you at domestic airport and transfer you to your hotel room. Rest for a while and then pack your luggage to move to the international airport to resume forward journey. Haridwar is the land of god, goddesses and mystical power.